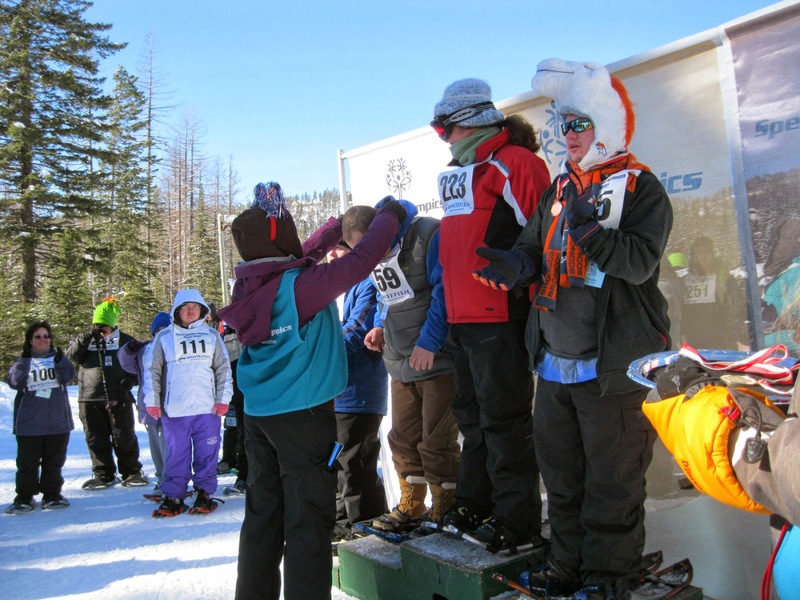 On Tuesday February 25th, seven Chrysalis students journeyed south from Eureka to Whitefish Mountain Ski Resort, but not for a day of hitting the slopes. 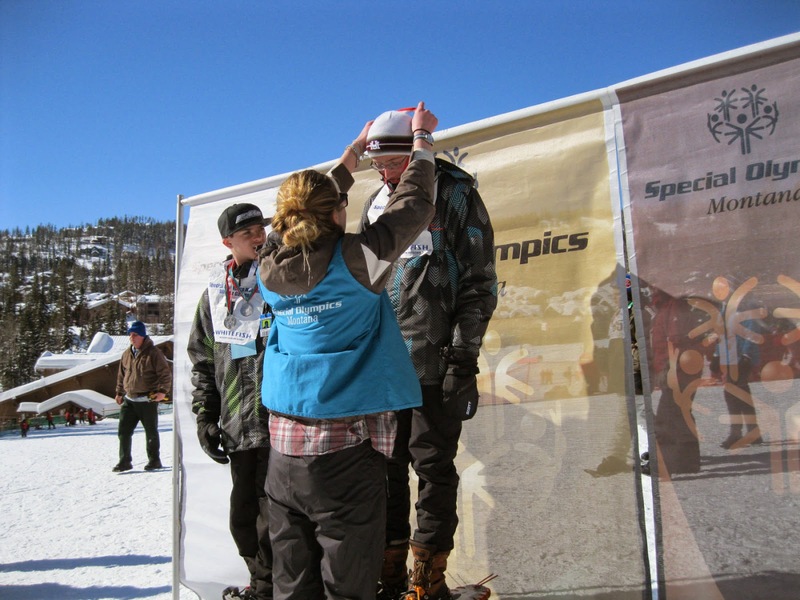 Instead of skis, snowboards, helmets and goggles, they arrived with noise makers, flowery leis, silly hats and giddy personalities as we volunteered to help out with the 16th Annual Montana Winter Special Olympics. Excited athletes took on the freezing temperatures as they snowshoed, cross-country skied, downhill skied, and snowboard their way towards gold medals. After arriving and a quick lesson on how we were to run the medals ceremony, we joined the athletes at the Closing Ceremony for music, celebration, and hugs before the races began. Some of our students cheered on racers and then helped the athletes line up on the podiums, while other students brought forward the medals on silver trays to be placed on the winners. Though a bit apprehensive at first, everyone who was volunteering soon got into a good rhythm. By the end there were smiles and laughter from our students almost as bright and loud as the athletes. This is the sixth Special Olympics I have been part of with Chrysalis, and every year has been a lot of fun. This year was no different, and I am proud of the students who came with to volunteer. They all did a great job, had a good time, and helped make great memories for the Special Olympians who competed this year. Jeremy still has his shirt from the year he helped out.